Photo by Noam Galai/Getty ImagesThere’s many people who disapprove of Zoe Saldana‘s portrayal of the late Nina Simone in an upcoming, unauthorized biopic. 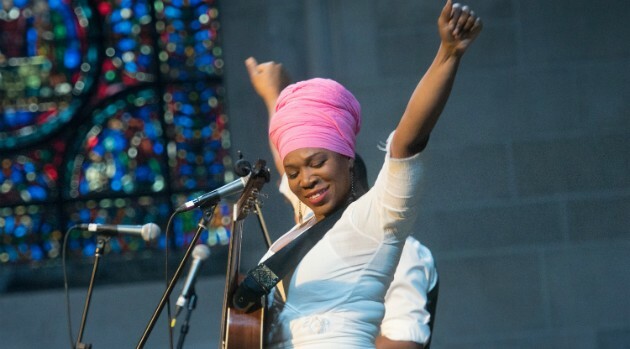 And after the trailer surfaced last week, it’s clear that India.Arie is not here for it. According to The Hollywood Reporter, the singer believes the film “propagates institutional racism,” seemingly referring to Zoe wearing a prosthetic nose and darkening her skin color with body makeup. Although the Latina actress has identified as being part black, India doesn’t believe she should have been cast. “It’s messy to put it that way. I think the best way to say it is that they casted her against type and went too far to make her fit,” India says. Back in 2012, India voiced her concern in an open letter criticizing the film for its “parody” of Simone’s story.